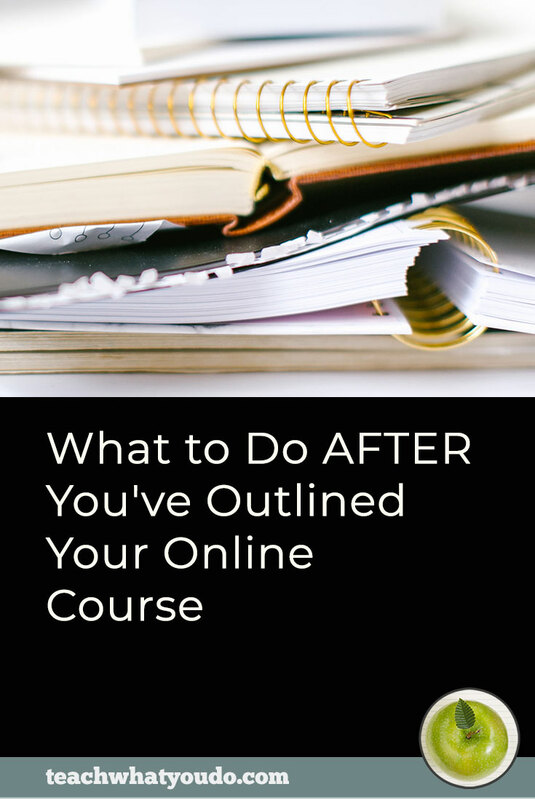 Are you a would-be dreaming-on-it course builder unsure of how to start taking real action? Or are you a for-sure, gonna-do-it will-be course builder. While you might well have joined a dozen Facebook business groups, watched several tech tutorials and even put a ring light and tripod in your Amazon cart . . .
. . . until you start doing the right work, you're stuck in the the would-be dreaming-on-it circular groove of dreamers. Take a quick 3-question quiz to see if you're doing the right work. Question #1: How many of your ideas have made it out of your head and onto paper (or its digital equivalent)? If 0, then you're would-be. The closer you get to 10, the more you're a will-be. Question #2: Are you getting all of your biz-building how-tos from multiple free sources? The more free and disparate sources you're using (and the greater your reluctance to invest in a proven system), the closer you are to would-be and the farther you are from will-be. Question #3: Do you have a 90-day goal for moving this business forward? Wherever you're at right now, let's get you out of idea stage and onto execution. I've got a 3-part assignment for you. The work here should be done quickly and with an understanding that you're getting your sea legs. 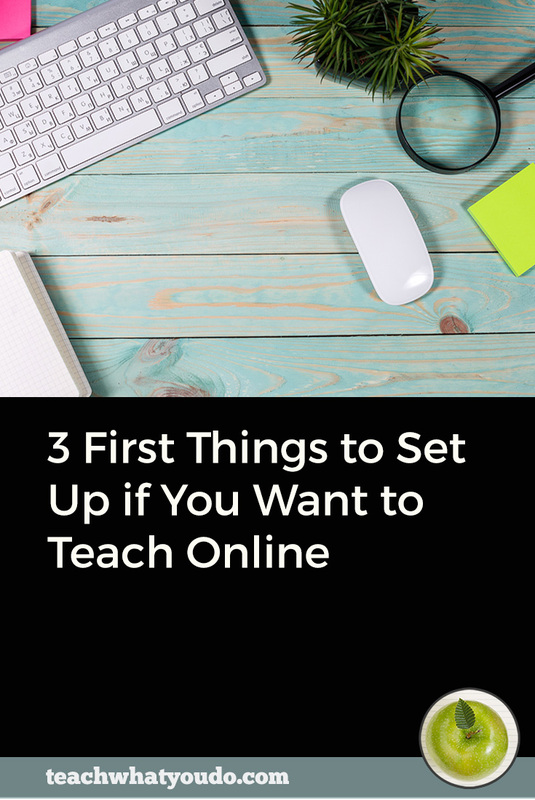 Picture yourself as the established online teacher. So let's get you headed there with early work that will move you out of would-be status and into will-be territory. Draft a first lesson. 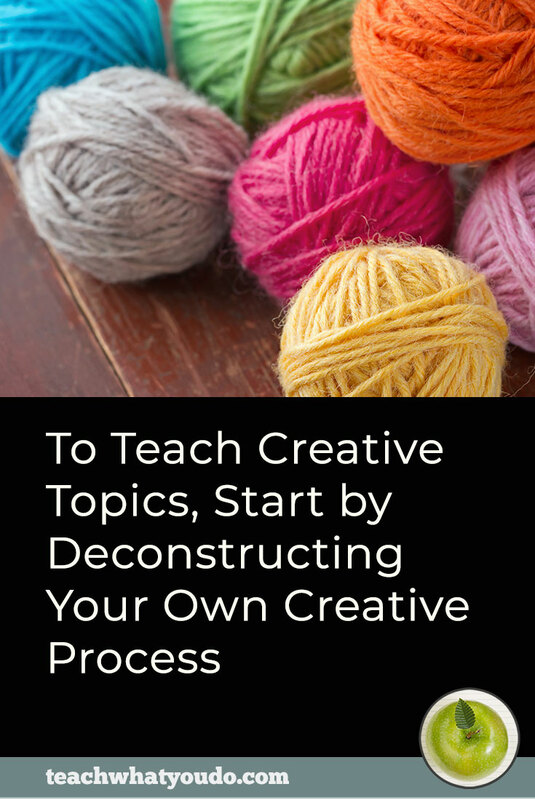 It could end up being part of a paid class or it could be a first audience-building freebie you share. 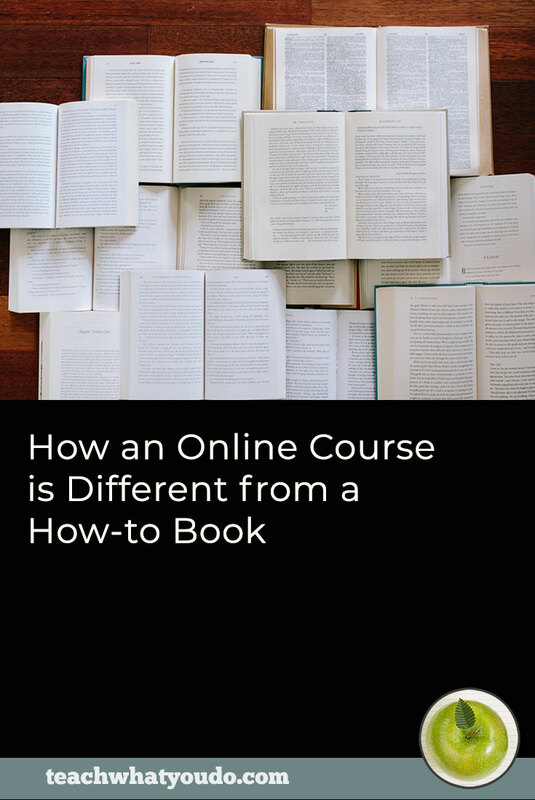 You might not even know exactly what your course will be right now. You're taking action that immerses you in your subject and that has you practicing, loosening up, getting into a teaching groove. 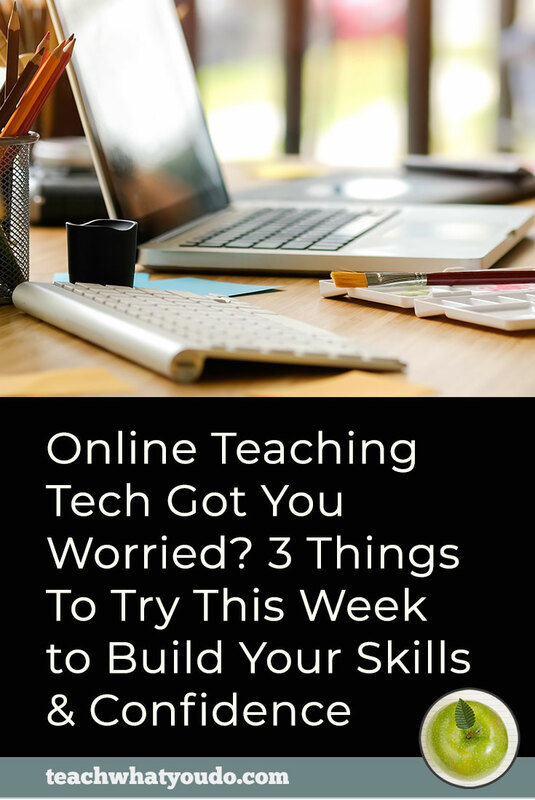 Identify three online communities where your potential students spend time. Go to them and engage. Getting to know these people and getting yourself onto their radar is the first step to understand what you can sell and to finding your tribe. Here are tasks to just GET GOING with. Don't worry about perfection. Don't spend a long time. The goal is to use tools, learn processes, and have a clear accomplishment. Outline a mini course. It could end up being your first minimum viable product. It could end up being a freebie. It could just be practice. But it's important practice. Make a first short lesson with slides. Take something you’ve already written, or even something you love sharing with people in impromptu conversations on your topic, and create a short lesson in slides that you narrate. Buy a slide deck template from Creative Market or get a free one from Hubspot or make your own and just work through it. Take a free image from Unsplash to add pizzazz to a slide or two. Just do it! This is about practice and learning as much as it is about the finished product. Make a first webcam or screen capture video. This can be just for your consumption. You’ll figure out how things work, how you look and sound on camera, and what the process is. Go live. Set up a Facebook Group that has just you and your bestie in it. Then broadcast to it. You'll see how live streaming works and gain confidence. Such a community often accompanies a paid class or mastermind. We have one at Teach What You Do that accompanies the Blueprint and Jumpstart programs. Every day, myself and course builders from around the world, working on a variety of topics, are asking and answering questions. A would-be course builder, dreaming on how things might be? Or a will-be course builder, taking first solid steps forward? 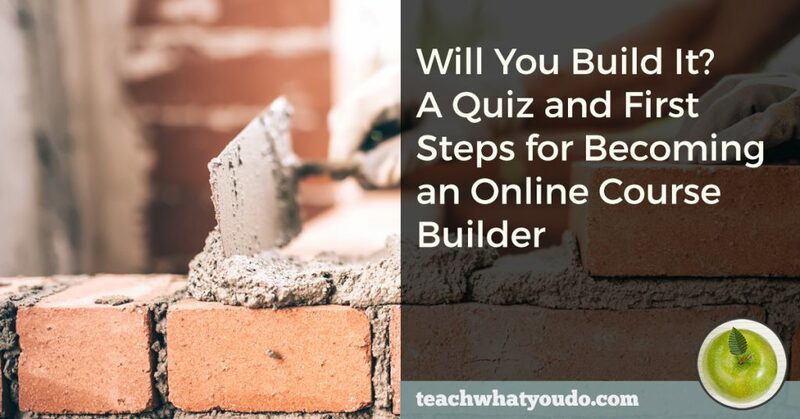 Come on over to Prep School for Online Course Builders and let me know.